Let your creative side run riot, anything is possible! 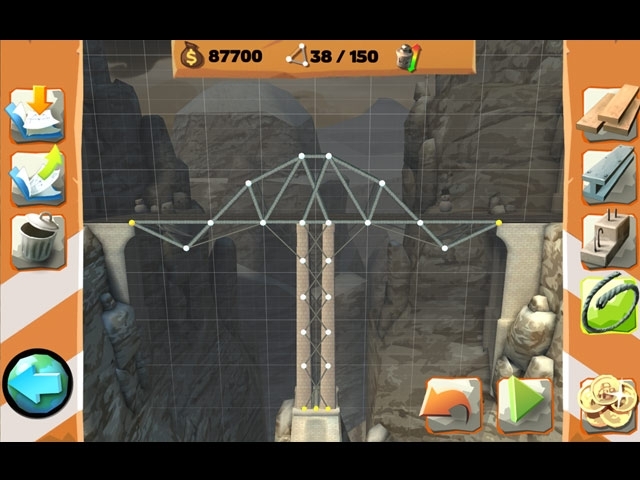 Build bridges over deep valleys, canals or river and make sure they can support the weight of the cars and/or trucks which drive across them. Will they be able to pass the stress test? An extensive tutorial is available, that means no fixed budget and no limitations. Here you are free to do as you please - build and construct to your heart's desire! Experienced players will also enjoy the challenges of attaining the new badge system. 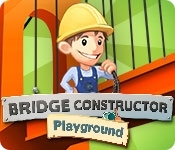 Meet the requirements and earn all 5 badges for building each bridge. Build and construct to your heart's desire!